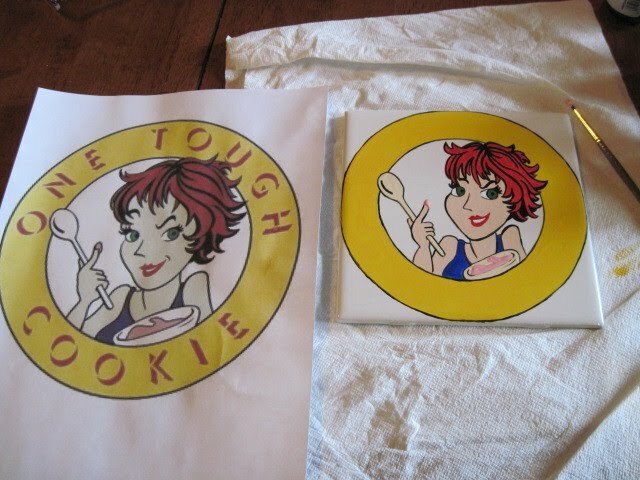 Deciding to close my cookie business doors was a scary thing but something I felt compelled to do. During the last months of my cookie making career, I found myself doing more and more hand painted designs on cookie “tiles” (if you will). The cookie business was slowing down for me and I was starting to think that I had overstepped my boundaries by introducing these detailed confections as edible art. “Of course,” I would say, “they are cookies, they’re meant to be eaten” while inside my heart was saying “Wait!!! Don’t you just want to hold onto it for a little while longer?” Silly, I know. Little did I know, that by introducing these little hand painted confections I was really just following my hearts desire by leading me back to my true passion of decorative painting. Once I realized the true direction I needed to go in, the rest was easy and I moved quickly to make the necessary changes. Having met wonderful friends, mentors and people I admire through social networking sites like twitter, I decided that I’d like to take my tile painting in a direction I knew people had a true passion for ~ What if I would specifically design functional art for people depicting their websites and blog designs? “Bingo!” I said to myself. “Let’s give it a go and see if I can generate any interest with this concept.” Now I was especially excited to have a plan AND my paintbrushes in hand. 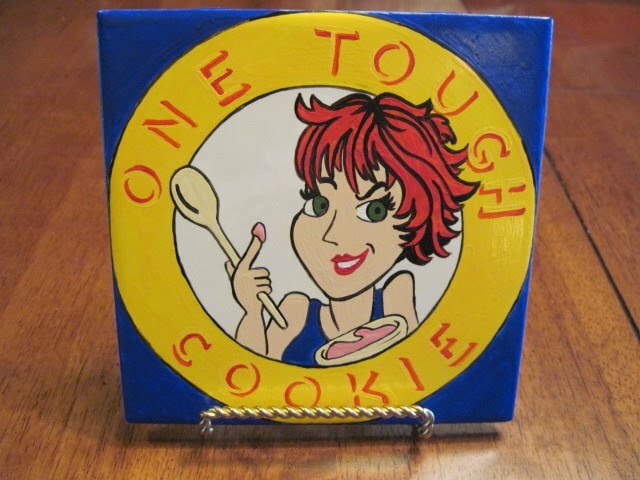 I was always drawn to her logo because I found it charming, whimsical and something I felt I could recreate on a trivet that would be a fun, functional conversation piece for Gail to use in her own home kitchen. 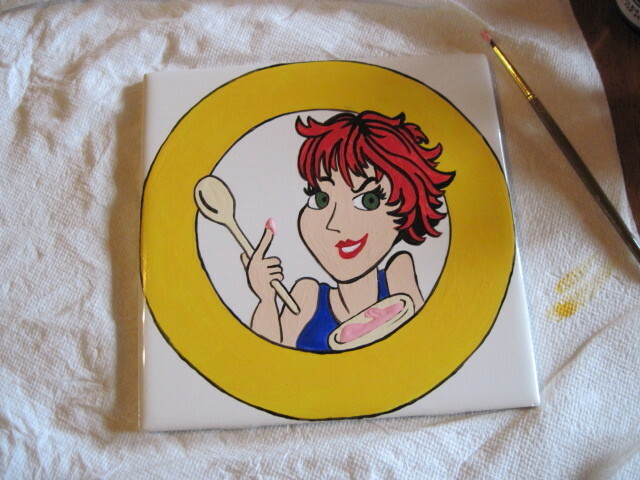 Having obtained Gail’s permission on using her logo to launch my new business venture, I set to painting my first tile. I always enjoy showing the process and I hope you’ll enjoy seeing the image come to life. See there, I told you she had a cute logo!!! You can bet she makes some pretty darn cute cookies and cakes too. You should check out her website when you get the chance. Her designs will blow you away. Well, you KNOW I love this post! And, I love my special tile even more! Great post, Renee! Keep up the great work! I'm so happy that you are so comfortable and happy with your move from painting cookies to painting tiles. I believe you have found you calling Renee. Lovely post and Gail's tile was the perfect choice to kick it all off. Perfect logo for a painted tile! I'm amazed by how you can capture ANYTHING! You are an artist, Renee! STUNNING!!! You are BEYOND talented!! WOW!! I'm in awe of your painting skills!! It's awesome!! Looks like you painted free hand! This is perfect painting! 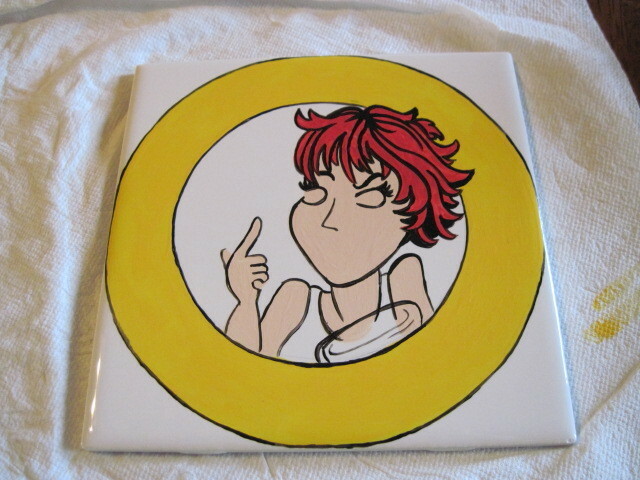 btw, i didn't know that it is possible to paint on tiles even..that's how uninformed i am..
Renee, this is amazing! You never know where life's path is going to lead. You are such an amazing cookie decorator, but at heart an artist. That comes through in all of your baking creations. Congrats as you take this leap. Your foodie friends are here to support you! Your tiles are amazing! I'd love one! They're fantastic and you are super talented (course i already knew that from your cookies). Congrats on the new venture. Wow, this is amazing! You are truly gifted!